An otherworldly fable set against the backdrop of 1960s Cold War era America. In the hidden high-security government laboratory where she works a mute cleaning lady (Sally Hawkins) befriends an otherworldly, aquatic creature who’s being held there against its will. In time, she and her friends decide to help it escape from captivity, even if it means risking the wrath of a ruthless G-man (Michael Shannon). 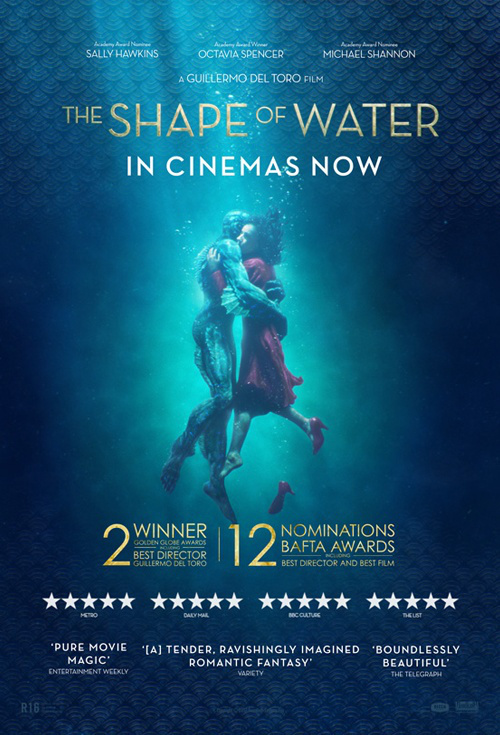 Whilst not an explicitly LGBT drama we chose ‘The Shape of Water’ as our LGBT film of the month as it’s a wonderfully moving film about outsiders finding a place and battling against conservative, destructive powers that try to silence them.